It’s summertime and for millions of teenagers, it’s a time when school’s out and they can enjoy the next couple of months without having to be in a classroom. For parents, however, it’s a tense time as they’re probably wondering just what are they going to do? Traditionally, children have been shipped off to summer camps where they’ll gain a bit of education, do some arts and crafts, and have a grand ole’ time making new friends. But what about those teens that can’t go or the parents that think they should be doing something else? Well Google and MAKE magazine, the company behind Maker Faire, have a solution that it thinks will help educate and entertain young adults this year. Today marks the kickoff of the second annual Maker Camp, a 30-day virtual “do-it-yourself” camp run through the Google+ platform. Running through August 16, this six-week “camp” is looking to redefine the learning environment. In its inaugural year, more than 1 million users followed MAKE on Google+. During that time, “campers” were introduced to daily themes and new projects that they could create right from wherever they were. It also included field trips where instructors took them virtually to places like NASA, The Smithsonian, Disney Imagineering, the Ford Innovation Lab, and CERN. We had an opportunity to chat with both companies today about the program. The idea behind the camp is to help teens better connect with one another while also injecting a little making. By the end of camp, the expectation is that science and technology will become known as practical and even fun. 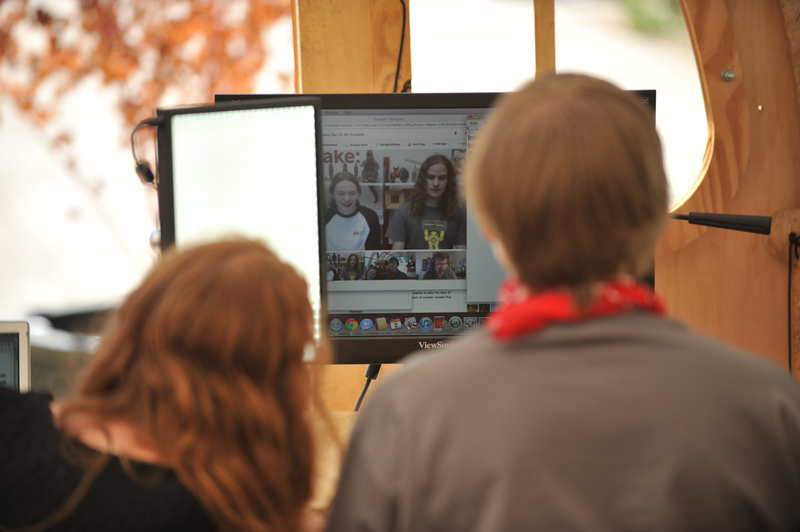 Powered by the Google+ platform, Maker Camp allows participants to follow along at their own pace. Each week will be a different theme, starting with Makers in Motion and including Create the Future, Fun and Games, Art and Design, DIY Music, and Make: Believe. Campers will be able to craft their own devices using common household items — very similar to what you might find on a Bill Nye: The Science Guy episode. A Google spokesperson says that they’re not going to ask parents to go out and buy dangerous materials. Since it’s a virtual camp, teens can be either at home or at one of the 120 affiliate locations around the world that host “Maker sessions”. Of course, parents can host their own gatherings to encourage more social gatherings for their children. Earlier today, Dougherty, Google, and some kids met up at the Exploratorium hands-on science museum in San Francisco to kick-off the camp’s second year. 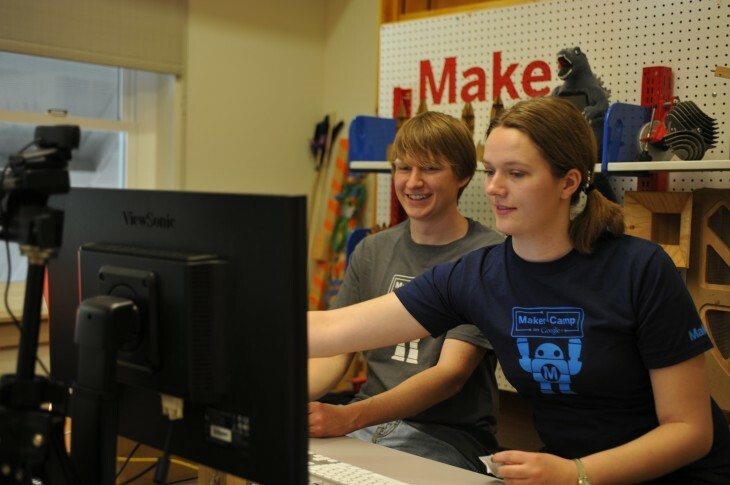 While the event was broadcast through a Google+ Hangout in the city, Maker Camp will be streaming their field trips from all around the world. While we were there, students were enjoying their time by building out 2-liter soda bottle motorboats. The lesson that was being taught this week centers around transportation. For the next four days, teens and instructors will be conversing through Hangouts and the MAKE Google+ Communities page to share ideas before going on their first virtual trip: visiting one of the sailboats participating in this year’s America’s Cup tournament. Since the program is in its second year, we asked Dougherty what, if any, changes were made from the inaugural year to make this one better. He tells us that the platform has evolved and certainly helped make the camp more interactive. Before, campers were only able to search on Google+ by hashtag, but with the launch of Community pages in December, it has created a central place for teens to discuss and showcase their work with one another. In essence, the MAKE Google+ page is said to have made it less awkward to participate. Teenagers are now able to gather and help one another without becoming frustrated and feeling isolated. Dougherty relates it being in a cabin with your bunkmates at summer camp in the woods — a “small” collective able to help each other out. Something else that’s different this time around is the use of affiliates. 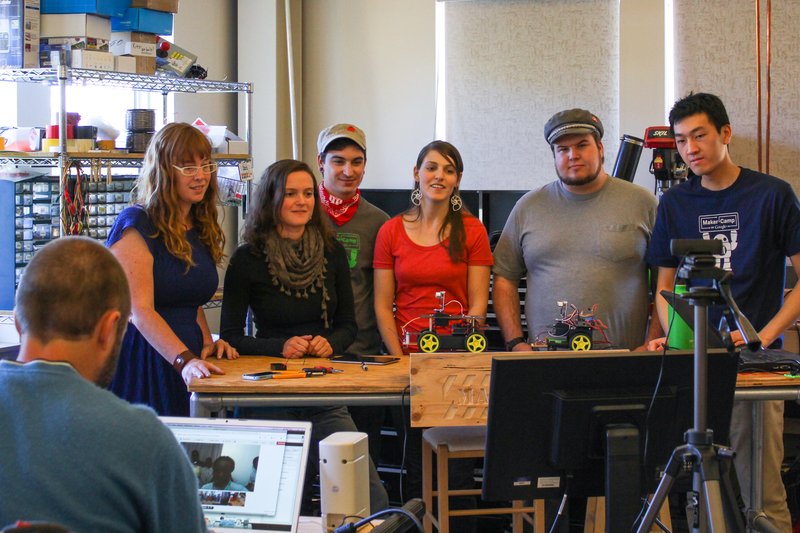 Maker Camp has partnered with libraries and other places to help expand their reach. Google assisted in this area by donating money so that the camp could donate supplies and advanced maker kits, such as Raspberry Pi computers, to help alleviate the resource strain. Maker Camp is surely not your normal summer adventure. But that’s the wonders of technology and how it has helped teens not only be productive, but entertained during their time away from academia. The curriculum at the camp is based on science, technology, engineering and mathematics. It’s tailored for any student starting at age 13 — this is the minimum age needed to create a Google+ account. However, don’t be surprised that college-level courses aren’t taught here. A majority of all projects are for general audiences. We want each camper to see how much there is that you can do and how much there is to explore all around you…Maker Camp might not be surrounded by trees or near a lake, but it has many of the wonderful features of camping. Anyone can participate in the camp, no matter where they are in the world. The best part? It’s free.